I've got to find a better way of discovering new and interesting blogs. Too many good ones are slipping below my radar and I'm stumbling across them accidentally. Such is the case this evening with one called Times Emit, by Peter Collingridge, Managing Director of Apt Studio Ltd. I just added Peter's RSS feed to my reader and I would encourage you to do the same. 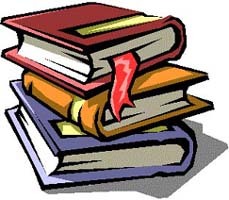 The problem with the "web 2.0" technologies listed above is not just that they are incompatible with the target audiences of most books, but that publishers haven't yet harnessed the basics of "web 1.0". How many publisher sites even offer rich, up to date, better-than Amazon data? Attractive, intuitive design? Value-added content, access to authors? Search engine optimization? Flawless commerce and customer service? Above all, consistent and engaging communication of the singular proposition of that house and its authors? Booksellers are not immune from this criticism either. How painful to read...and yet how true in so many ways. Thanks to Debbie Weil for pointing this one out on her blog: Zuula is an uber-search tool that pulls in results from the likes of Google, Yahoo, MSN, Alexa and more. Like most people, I tend to use Google for 90% or more of my searches, but I sometimes wonder what results I'd get from other engines. Since I'm too lazy to open yet another Firefox tab and try it out, I make do with Google alone. With Zuula, I'm just a quick tab click away from seeing the results that another engine generates, and I don't have to re-enter my query. Very useful. And as Debbie wisely points out, if it's good enough for Gina Trapani on the Lifehacker blog it's good enough for me! I've read two books by David Meerman Scott, Cashing in with Content and Wiley's just-released The New Rules of Marketing & PR (reviews here and here). JW: Where did the idea of leveraging the blogosphere like this come from? Was it something you developed on your own? DMS: I came up with this idea with the acknowledgments on my own. I wanted to implement a viral marketing strategy to promote my book. Viral marketing is the phenomenon of people spreading your ideas from one person to the next (for free!). And in my experience, viral marketing using blogs is one of the most effective ways to tell a story. Several things had been going through my mind which culminated in this strategy. I've always been intrigued with how authors select people to be in the list of acknowledgments. Even before I started writing books, I'd turn there first and wonder who all these people were. I thought it would be cool to one day be a part of someone's book in this way. Fast forward to my own blog. I've noticed (as I am sure you have), that shout outs, links, comments, and trackbacks are the currency of the blog world. Bloggers love recognition in the form of links. As I was writing my latest book, The New Rules of Marketing & PR, I did a lot of poking around for ideas, case studies, and other information on blogs. Separately, I blogged my ideas as I was writing my book and enjoyed seeing what people had to say about my ideas. As I worked throughout the year it took me to write, I kept a list of helpful bloggers. Some are people I met or spoke with on the phone. Some argued with my on my blog (or their blog). Some I just read and they had never heard of me. But all 163 helped me in some way to clarify my thinking. So I then combined the acknowledgment idea with the blog shout out and put the list of 163 bloggers into my book and also did a post linking to each one so they would know. And Wiley kindly offered me advance copies of the book for each of these people. All they had to do was email me with a mailing address. More than 100 did so. What's so cool is that this group of people are now my champions. And importantly, I did not just send out review copies of the book and hope for the best. These were people who requested a book based on my blog post. The idea worked brilliantly. And many bloggers have commented on how fantastic the marketing approach itself was. 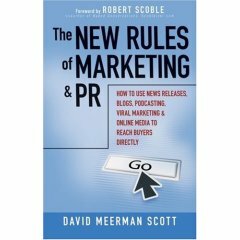 Of course based on the subject of my new book, more than 50 people said, more or less, "If Scott can pull off a book promotion like that using blogs and viral marketing, then his book about using blogs and viral marketing and other strategies must be pretty damn good." Surprisingly, of the 100 bloggers who wrote about my book, 30 or 40 bloggers then posted on their blogs with links to all 163 of the other bloggers on the list. The result was people's blog rankings surging. And they all knew the reason for it -- my original post. JW: Some might wonder how much of a management burden and time investment this has been for you. Are you pleased with the results so far and would you do it again? DMS: I would be fibbing if I said that this technique didn't take a lot of time. It did. During the writing phase, I kept an ongoing list of bloggers. While that only took a few minutes for each one, I did have to check and double check blog URLs. And I'm sure I missed important people. If they are reading this, I'm sorry! I hired some hourly help to package up and mail the 100+ books, so that wasn't so bad. But collecting the addresses one-by-one from bloggers did take a bit of time. And I personally inscribed each copy. So my guess is that it took about $500 or so to mail books plus 20 or 30 hours of my time. This was the best investment in marketing I could ever imagine. What would it take to achieve similar results using traditional techniques? How much would it cost to identify and then send out books to enough bloggers that over 100 would write something? I don't know, tens or even hundreds of thousands of dollars I would guess. Viral marketing is fantastic. And it works. I estimate that I have reached hundreds of thousands of people so far (the readers of the 100 bloggers who have written about the book). JW: My own Technorati ranking surged as a result of being on your list. Have you heard from any of the 162 others that you listed regarding this phenomenon? DMS: As one very famous blogger told me "That one post, with dozens of links to each blogger, lifted a lot of boats in the Technorati rankings." The way Technorati rankings work is that each inbound link is one authority point. So I generated 30 or 40 new points for each of the 163 bloggers (because of those bloggers who cut and pasted the list). So if someone had an authority of 30 and I added 30 points, then that blogs authority instantly doubled. Your blog ranking was recently about 23,000 (out of all 77 million blogs tracked by Technorati). By adding 30 points, your ranking surged to 19,000. How cool is that? And the benefit to me is that the blogger knows exactly why -- because of me and my book promotion. Another very famous author/blogger wrote to me and said more or less: "Damn, why didn't I think of that?!" JW: Have you come up with any other tactics that you plan to use after the book is published? DMS: I have some other interesting viral marketing tactics and ideas that I want to try to promote the book. But I want to keep it a secret! How intriguing... I guess we'll all just have to keep a close eye on David and his book in the coming months to see what else he's got up his sleeve! Gannett wants to extend and build upon their USA Today brand. Makes sense. Business 101, right? But books? According to this story, the USA Today logo is about to pop up on books from six different publishers shortly...six different publishers! The first question I like to ask before scrutinizing a deal like this is "What does the brand stand for and what do you want it to become?" Maybe I'm just a jaded business traveler, but USA Today has never meant anything more than "that colorful paper, dumbed down for the masses and my only common news source while on the road." IOW, "I wish I could curl up with my hometown paper, but this one will have to do for now." Assuming my narrow-minded impression of the USA Today brand is legit, what are Gannett's brand extension options? Part of the deal makes sense. The USA Today name makes sense on desk calendars and even puzzle books, although that's always seemed like a cut-throat, razor thin margin business to me. But "25 Years of USA Today" and "The Making of McPaper: The Inside Story of USA Today"? Does anyone (outside of the newspaper industry) really care about either of those topics? The whole notion of USA Today trying to extend into the book world seems like the opposite direction Gannett should be heading in. I know they just went through a fairly major website relaunch, but if this were my business, I'd be focused exclusively on non-print initiatives. What else can I be doing to extend my brand online? What new ways can I experiment with to deliver online pieces of news content? How about audio? What are they doing on that front? Why not offer a service that gets me the latest headline news on my MP3 player for the ride home each day? What are they doing to create a better craigslist? How about taking a page out of the Disney play book and developing a next generation gadget that would deliver customizable news right to the desktop? IMHO, they could publish dozens of books every year and it wouldn't have the branding (or revenue!) impact of the results they could produce with more innovative online initiatives. P.S. -- Six different publishers?! I'm sure specialization and niche leadership came into play in all this, but I hate to think of the branding coordination nightmare this is likely to create!